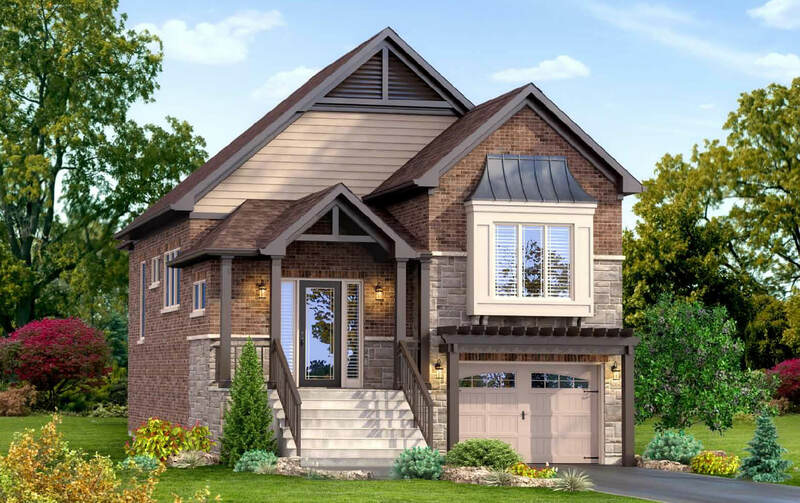 Available in both contemporary and traditional elevations, The Aurora is an open-concept bungalow plan featuring a spacious living room and dining room separated by a large kitchen with breakfast nook. 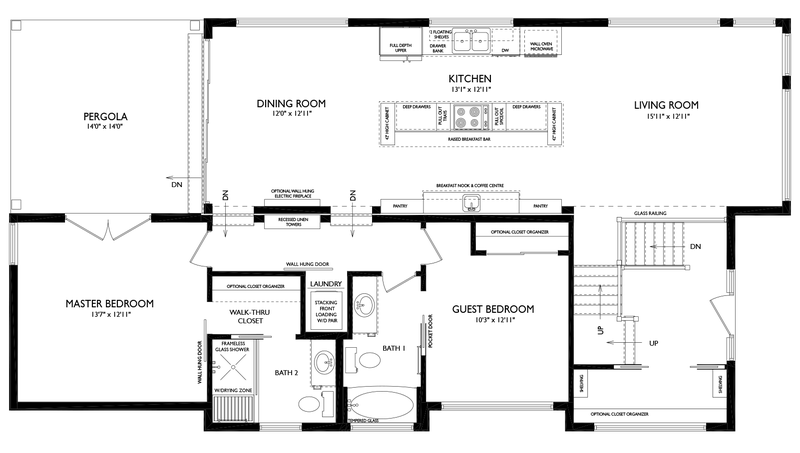 The home offers a large master bedroom with walk-thru closet leading to an expansive ensuite bathroom. There is a guest bedroom and second bathroom with oversized oval tub. A lovely pergola is accessible from the dining room as well as the master bedroom.